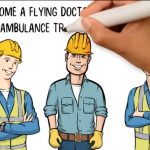 One of the most common questions we are asked at the Flying Doctors air ambulance service is how much the service costs. The short answer is that ‘it depends’. The cost of an air ambulance service depends on a whole number of factors that we will be discussing in this article. However, it is important to note that most air ambulance missions are not paid out of pocket by individuals. More commonly, they are paid by a patient’s company, their insurance firm, the military or security organization that they work for or the government. 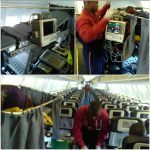 Air Ambulance Aircraft type: We transport patients by helicopter; usually the most expensive option, by fixed wing plane and by commercial ETU service; which is the most cost effective as the stretcher occupies a small section of an existing scheduled, commercial flight. Different situations may require different aircraft types. This decision can be made in collaboration with our medical team. 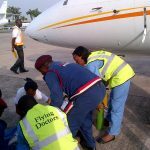 Patient Health Condition: There are two components to medical care in an air ambulance: medical personnel and medical equipment. If the condition of the patient requires advanced life support, the air ambulance cost will be higher than a patient requiring more basic care. 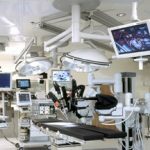 Similarly, there may be a requirement for specialized medical personnel such as a neonatologist or a respiratory therapist; again this may add additional cost to the mission. Air Ambulance Landing Fees and Logistical Charges: When an air ambulance lands at an airport, landing strip or helipad, it is usually charged a fee for it. 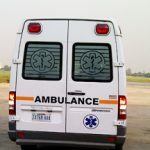 Also there might be other charges such as visa, hospital booking, ground ambulance charges and overflight permits which differ between countries/regions. This may also affect the price of the air ambulance especially when using private landing strips/airports.